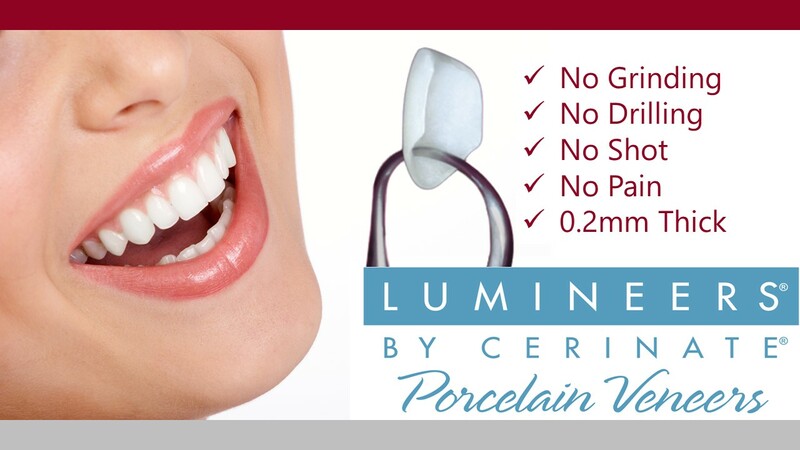 LUMINEERS BY CERINATE® are ultra-thin, handcrafted porcelain veneers, and translucent like natural teeth that offer the painless way to transform your entire smile and give you the beautiful smile you’ve always dreamed of. 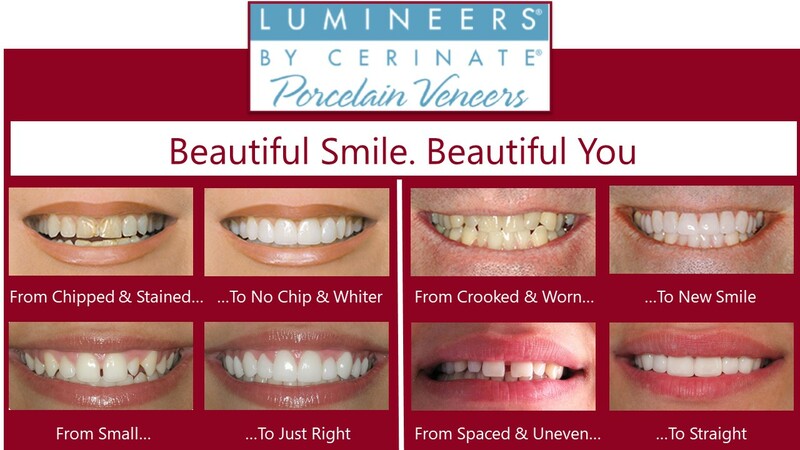 Lumineers® are permanent cosmetic solutions and a more modern form of veneers for stained, chipped, discolored, or misaligned teeth that give you a custom-made smile designed with care. 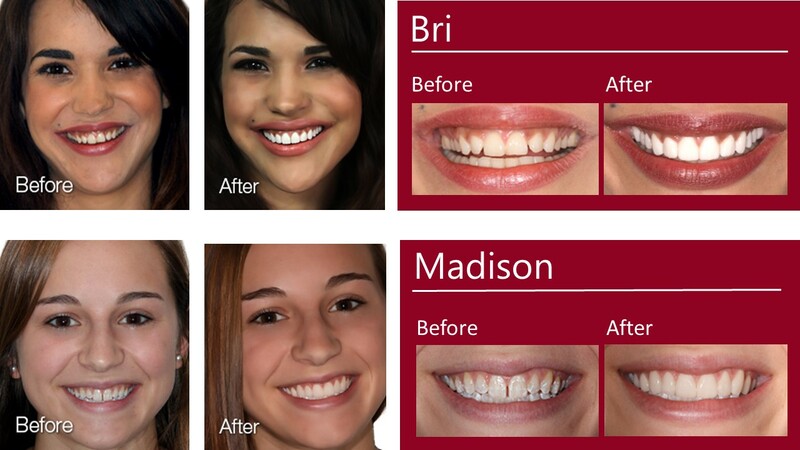 Lumineers® are a wonderful option for a comfortable and simple smile make-over. No Grinding, No Drilling, No Shot – Simply Attach to Your Teeth. Lumineers® are digitally designed to be ultra-thin like contact lens so they can be applied seamlessly over your natural teeth to deliver a beautiful result with a simple and painless process. That’s why Lumineers® is the #1 patient-requested veneer system in the world. Lumineers® could even be placed over existing crown or bridgework without having to replace them. Traditional veneers are generally thicker for minimum of 0.5 millimeter, and thus require more aggressive and irreversible removal of healthy tooth structure. The extensive preparation technique frequently requires shots and anesthesia to minimize sensitivity and pain. 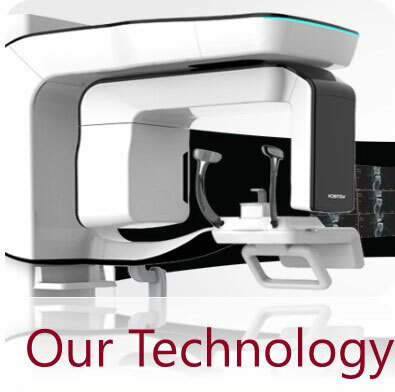 The minimally invasive Lumineers technique with minimum of 0.3 millimeter typically eliminates the need for shots or temporaries while you wait for your custom-made Lumineers. Unlike traditional veneers, there are no shots, no drilling of sensitive tooth structure, and no pain. They’re even reversible in some cases, so you have nothing to lose and a beautiful smile to gain. Lumineers® are proven to last for over 20 years with proper care, so your beautiful smile will be with you for years and years. What’s not to love? If you don’t like how your teeth look, then you will love Lumineers. What People Experience with Lumineers®? At the first visit, we will take digital X-rays, photos, and digital impression of your upper and lower teeth to determine the shade and design for your permanently white and radiant new smile. At your second visit, your dentist will place your Lumineers permanently and balance your bite. That’s it. 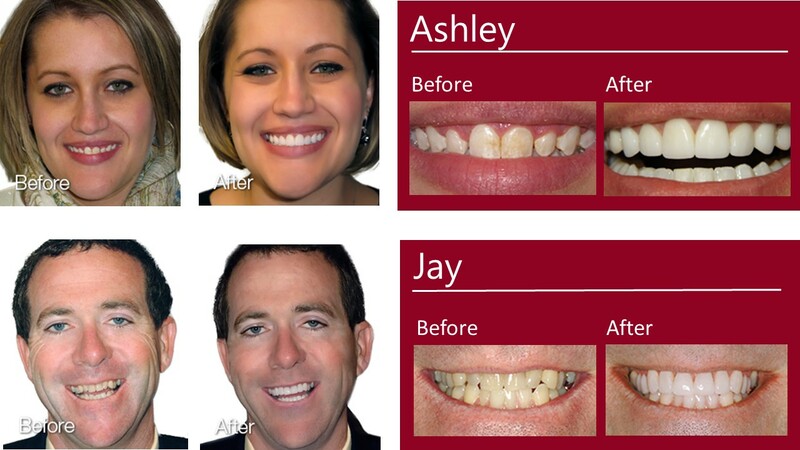 In only 2 easy and comfortable dental visits, you can have the natural-looking and white smile you’ve always dreamed! Why Choose Aria Dental for Your Lumineers®? While many dentists offer veneers, not all dentists have been trained and certified to deliver the signature benefits of Lumineers®. 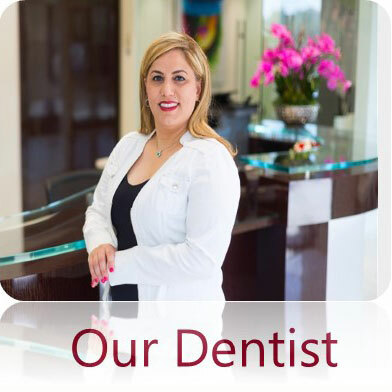 Dr. Maryam Horiyat, is a well-trained and certified Lumineer dentist as well as being certified by American Academy of Cosmetic Dentistry. 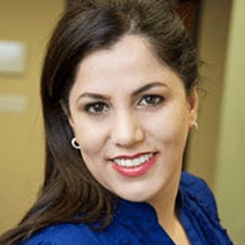 Dr. Maryam Horiyat will consider your facial symmetry, skin tone, and the size of other feature when designing your veneers to design them as natural as possible. Dr. Horiyat can painlessly and meticulously apply an ultra-thin “smile shapers” to your existing natural teeth or restored teeth without any grinding or shaving your teeth structure (unlike traditional veneers), thus, little to no alteration of your existing teeth. 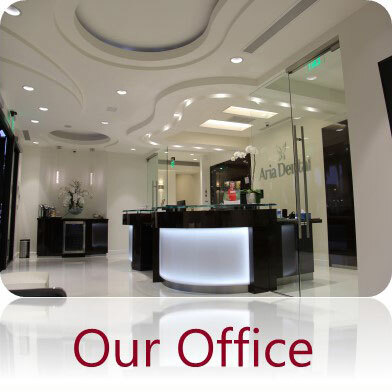 You will receive very affordable Lumineers® in an utmost private, relaxing, and state-of-art dental office with modern technology.